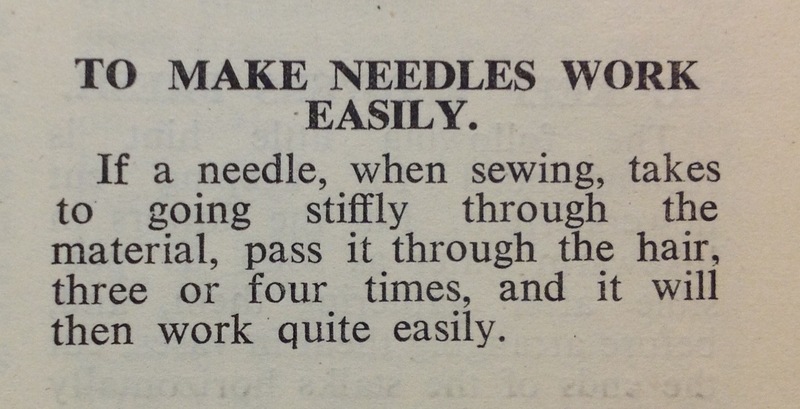 Ever wondered how to make your sewing needles work more easily? Look no further than this week’s home hint! It’s taken from Home Hints for the Modern Housewife, published in London by Featherstone Press Ltd in the 1940s. This book is part of our Home Studies Collection which contains over 700 historical cookery and household management books from the last 300 years.